“Relations between the Islamic Republic of Iran and Iraq are beyond relations between two neighbouring countries and the Iranian government and nation regard progress and prosperity of Iraq as beneficial to themselves,” the Leader said in a meeting with Iraqi Prime Minister Adel Abdul-Mahdi and his accompanying delegation in Tehran on Saturday. 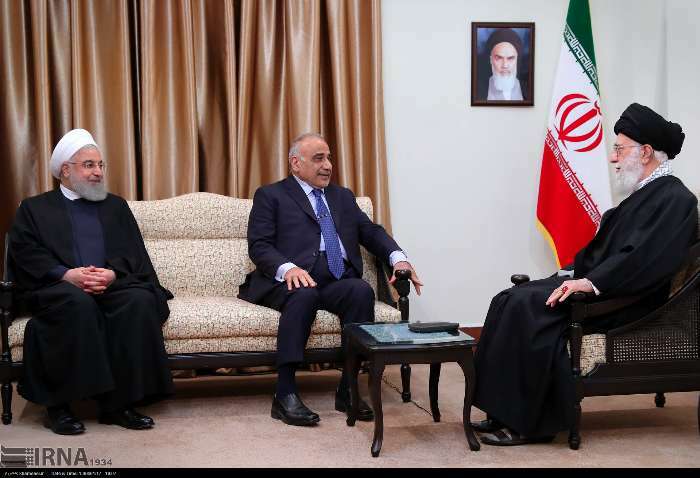 “But despite their remarks, the Americans regard democracy and Iraq’s current political activists to their detriment and based on this, the Iraqi government should do something [to ensure] that American military troops will leave Iraq as soon as possible,” Ayatollah Khamenei added. The Leader hailed Abdul-Mahdi’s wise and prudent stance on regional issues, particularly the developments in Iraq, and said the Iraqi youths were among the country’s human capacities that had passed the exam of the fight against Daesh terrorists in a good and admirable way and marked a historical event. 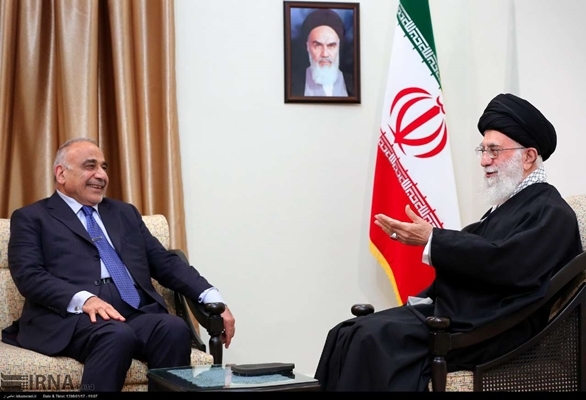 Abdul-Mahdi hailed his country’s relations with Iran and emphasized that Iraq would never join US sanctions against Tehran. “Border cooperation to fight terrorism, narcotics and smuggling will become stronger between the two countries,” Rouhani said.